Johns Shutters and Repair carries a wide variety of hurricane shutter, storm shutter and security shutter products. John’s Shutters and Repair is a licensed manufacturer and distributer for USA Shutter Corporation, a world leader in hurricane, storm and security shttter design and testing. Give us a call. We’re are happy to help you find the perfect solution to protect your home or commercial property and happy to work with architects, engineers or designers in the planning phase of any home, office, condo, strip center or other commercial property. 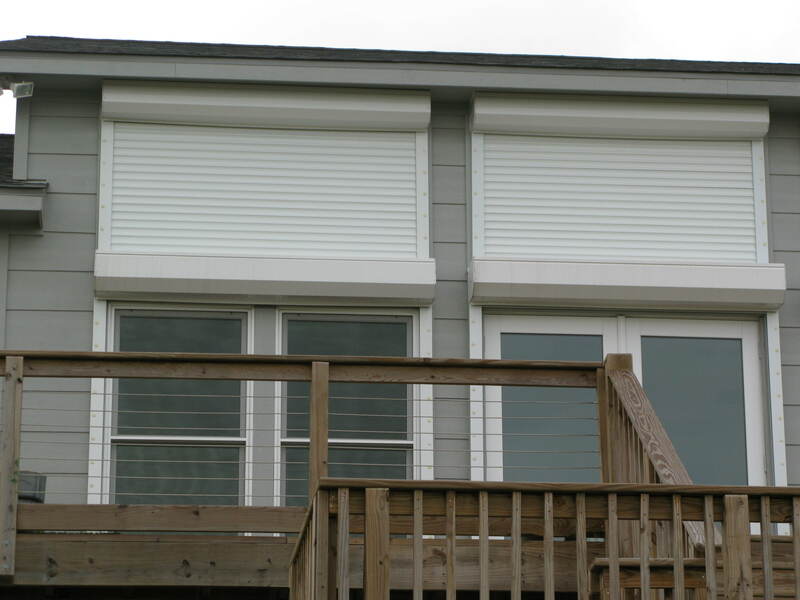 Commonly called roll-down shutters, best applications are unreachable or hard-to-reach windows. 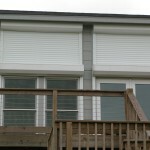 Roll down shutters retract into a housing above window and roll up out of site. Deploys in seconds with manual, electric, remote control, or even cell phone operation. 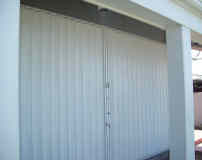 Rollup shutters provide excellent hurricane protection for windows, doors and glass enclosures. 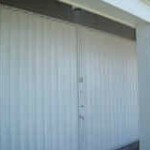 Commonly called folding shutters, the best application for the accordion hurricane shutter is patio sliding doors or any easily accessible location. The accordion shutter is the best dollar value in hurricane protection. They are operated manually with a key lock for ease of use, security and durability. Aluminum Bahama Storm Shutters and colonial shutters are often imitated with PVC that is not insurance rated and will not hold up. Beware of cheap imitations! Aluminum Bahama shutters and Colonial shutters are working hurricane shutters that beautify and protect your home. Made of extruded aluminum and powder coated available in different colors. Attractive. Great hurricane window protection. Great for historical homes. 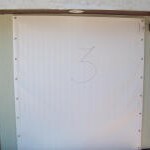 Fabric hurricane panels for hurricane protection are easier to store than metal panels or plywood and carry TDI product approval. Fabric hurricane panels, which must be physically installed with each use, are labeled and roll up and down much like a big map weighing about 10 lbs. Fabric shield provides a reasonable measure of hurricane protection for windows and doors. Rugged corrugated aluminum hurricane panels, made of .05 aluminum, direct mount in an overlapping style. 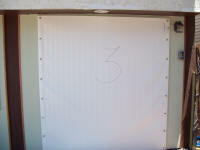 Aluminum hurricane panels are cost effective and must be manually deployed with each use. Panels are labeled, stack better than plywood and require much less storage space. This aluminum hurricane window protection product is custom made to fit your opening. In Houston, Galveston or anywhere on the Texas Gulf Coast, you can depend on John’s Shutters and Repair to service your storm and security shutters quickly, professionally and affordably. If a shutter is damaged or a motor stops, count on us to show up when promised and solve the problem. 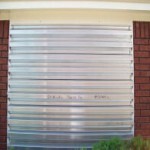 We service and repair ALL storm and security shutters from all manufacturers. You don’t want just a hurricane shutter. You want a shutter that is strong, attractive, and long lasting. You want a shutter that will hold up to the most extreme conditions and work exactly the way it was designed to every single time. Contact John’s Shutters and Repair at 409-316-9922 for a free no obligation quote and be sure and enjoy all the videos and other information on hurricane, storm and security shutters on this Web site.